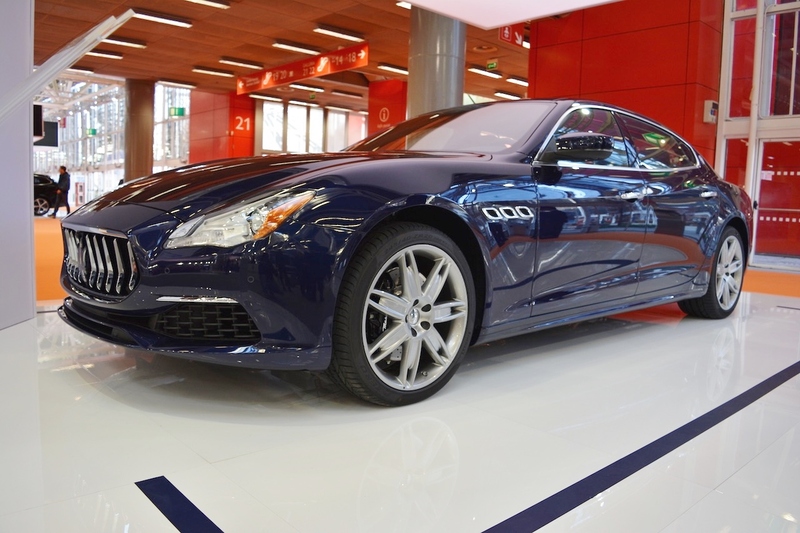 The Maserati Quattroporte was given a facelift this year and the updated model is being showcased at the 2016 Bologna Motor Show in Italy. The 2017 Maserati Quattroporte features a more pointed grille with new vertical chrome elements, new bumper design with matte black profile at the front and the matte black extractor at the rear, and slightly restyled matte black side skirts and the exterior mirrors. The new Quattroporte is 10% more aerodynamic, thanks to the fitment of an electrically adjustable Air Shutter. 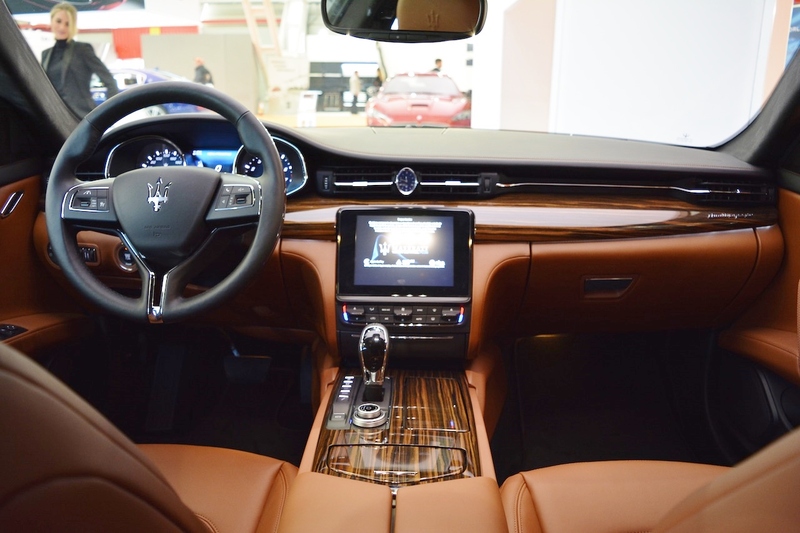 Inside, the 2017 Maserati Quattroporte features a redesigned central dashboard which now houses a new infotainment system with a 8.4-inch high-resolution capacitive touchscreen display, new climate control, new drawer in a single seamless design, redesigned lower console with a rotary knob for the volume and function control, a new lid and phone storage compartment. The new infotainment system offers Apple CarPlay and Android Auto smartphone mirroring functions. With the facelift, Maserati has introduced two new trims for the Quattroporte: GranLusso and GranSport. As for the changes in the engine line-up, the 3.0-litre twin-turbo V6 petrol engine now produces 350 hp, 20 hp more than before, provides a quicker 0-100 km/h acceleration (5.5 seconds) and an increased top speed (270 km/h). Top speeds in other engine models have also been increased, but without any output revisions. The ZF 8-speed automatic transmission is standard.